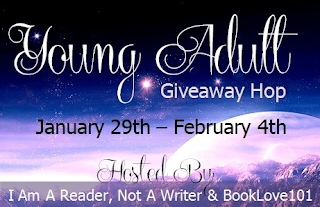 Welcome to the Young Adult Giveaway Hop! This hop is hosted by I am a Reader, Not a Writer and BookLove101. I am so happy to be a part of such a wonderful community of YA readers of all ages! To celebrate, I am offering up a copy of a January/February release from the list below to one of YOU! Unravel me or Falling For you.I’m not really sure.. I would pick Crash. Thanks for the giveaway. I would chose Unravel me. Thanks a lot for the giveaway! I’d love Unravel Me. Thanks for the awesome giveaway. I would choose Prodigy 🙂 Thanks for the giveaway!! Hmmm either A Shimmer of Angels or Falling for you! Probably Unravel Me or Scarlet! I’d choose Prodigy by Marie Lu! Thanks for the giveaway! I would choose A Shimmer of Angels. I’d probably choose Prodigy or Unravel Me. Either Prodigy or Unravel Me. I’ve been waiting for Unravel Me for a long time, but I read Legend more recently, and so am really excited for it! Thanks for the giveaway! I would either choose A Shimmer of Angels or Scarlet, both look like good books! All of the books above look really good. I think, if I had to pick one to start with, I would pick “A Shimmer of Angels” to start with and then proceed to read the rest of them because they all need to be read. Thanks! Thanks for the fabulous giveaway! I put the wrong title in the rafflecopter… I put Legend instead of Prodigy.. whoops! I loved Legend, Cinder, and Shatter Me so much that I’m not sure which sequel of those three I would pick. 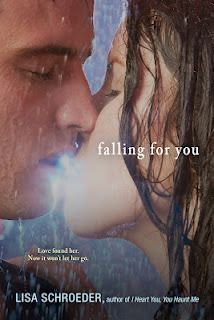 I’d love to read Falling For You, it sounds amazing! I would pick Crash. I absolutely loved your review and it had me dying to read this amazing plot and meet such an enthralling character that Jules seems to be! I would choose A Shimmer of Angels! I’d choose Unravel Me! Thanks! Unravel me or Falling for you. I think I would choose Unravel Me. A Shimmer of Angels cover is pretttttty!! I think I’d pick Crash cuz I need a copy of the actual book! I would choose Prodigy or Unravel Me 🙂 Thanks for the giveaway!! I would love to win Crash. I think I’d choose Crash. Thanks for the giveaway. I would love to win Scarlet! I would choose Unravel Me – no doubt! Thanks for the giveaway! I think I’d pick Unravel Me. I hope this isn’t a final answer, haha, I’m not totally sure yet! Maybe Unravel Me? Thanks for the giveaway! I’d probably want Falling for You. I would choose Scarlet. Thanks for the giveaway! Scarlette 🙂 thanks for the giveaway! I’d love a copy of Scarlet! CRASH! Omg, Crash. So preeeeetty. I would choose Scarlet!! Thanks for the great giveaway!! I would choose Crash. 🙂 Thank you for the giveaway! 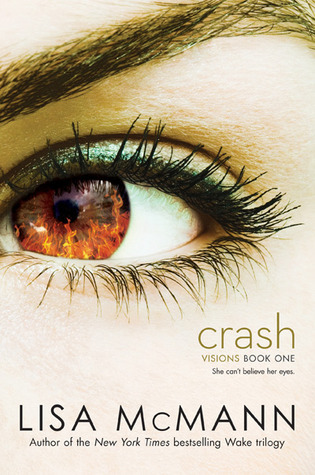 I think I would choose “Crash.” That book cover looks EPIC. I would choose Unravel Me, thank you!! I’d love a copy of THE ARCHIVED. crash.. Thanks for the giveaway!! That is an amazing group of books to chose from, I would chose Crash! Thank you for your wonderful giveaway! I would love to get Scarlet. Thank you! I would love to win Crash. Thanks! I would love Unravel Me. 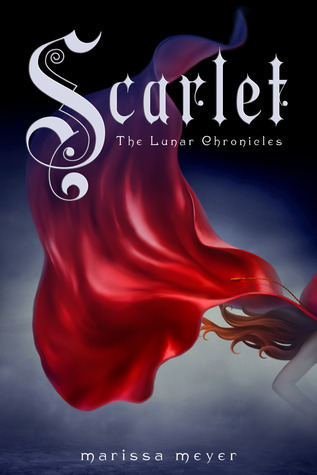 Scarlet (Lunar Chronicles #2) by Marissa Meyer. 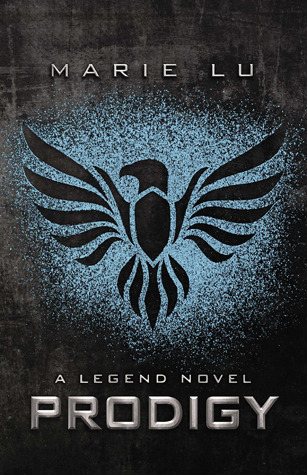 I’d love to win Prodigy (Legend #2) by Marie Lu. Thanks for this amazing giveaway – I would love to win and pick Scarlet or Prodigy! I would pick Crash or Prodigy 🙂 Thank you! I’d choose either Scarlet or Prodigy! Probably Scarlet or Falling for You! Thanks for the giveaway!!! I would choose Unravel Me! Thank you for the giveaway! I would choose either Scarlet or Prodigy!! Thanks for the chance at this great giveaway!! I would pick Scarlet or Crash. Maybe Crash by Lisa McMann. Thanks for the great giveaway! Either Unravel Me or Scarlet! Thanks! I would pick Crash, I think :). Scarlett would be great. Thanks. I would choose Unravel Me! I would like to choose Scarlet, please! Thanks for the giveaway! I would choose Scarlet. Not sure! Maybe Prodigy, Unravel me, Scarlet or Falling for you. Have not read any of these authors before. I think i’d pick Crash or Falling for you. I would choose Scarlet! Thank you!! I would have to pick Scarlet! I’d pick Unravel me (Shatter Me #2) by Tahereh Mafi :D! I would probably choose “Unravel Me” or “Scarlet”. What a great choice of books…thanks so much for the giveaway! Happy Reading! I would choose Crash or Scarlet. Thanks! It would be between Unravel Me and A Shimmer of Angels. They both are good books and so hard to choose between them. Thank you for a chance to win and for being a part of this fun and awesome blog hop!! I think I would choose Scarlet or Prodigy as both look superb. Thank you for the chance to win! 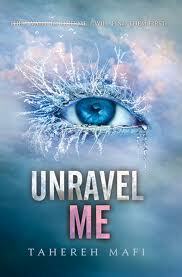 I think I would choose Unravel Me by Tahereh Mafi. Thanks for the great giveaway! I’m excited about several on your list… but my choice would definitely be Unravel Me. I’ve been looking forward to this sequel for a while! 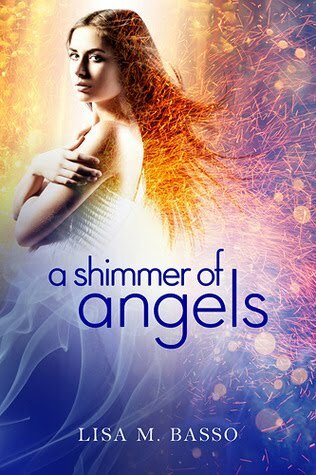 I would pick A Shimmer of Angels by Lisa M. Basso. I think I’d choose Unravel Me. Unravel Me or Scarlet. Thanks! Book choice: Falling For You. So many good books to choose from! I’d probably choose Unravel Me. Prodigy or Falling for You. Scarlet–so I could pass it on to someone else.